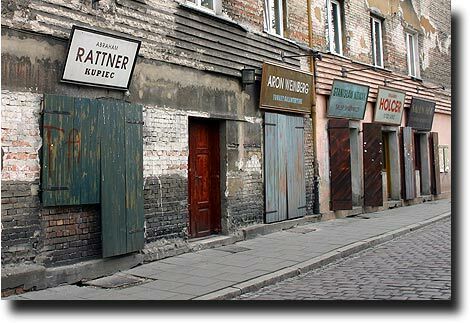 The old Jewish town - a separate city until 1868 - housed most of Krakow's Jewish community until the Holocaust and was immortalized in Schindler's List. 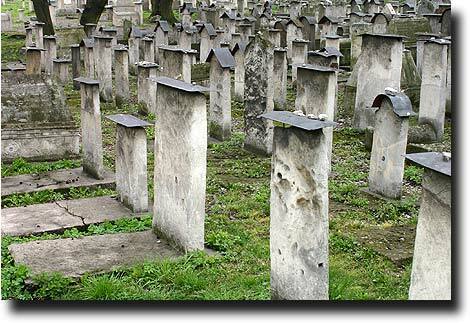 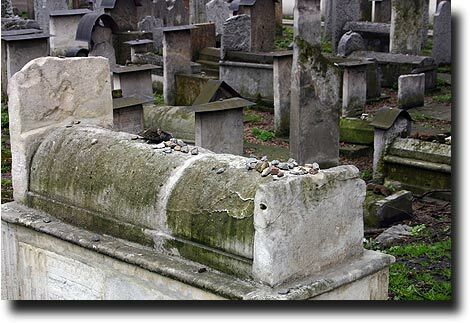 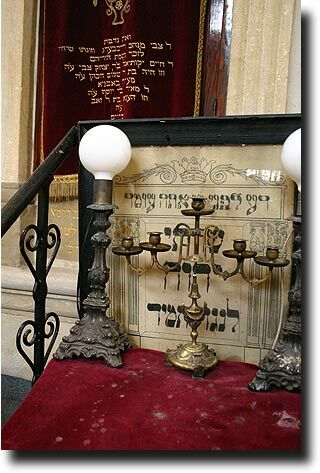 The Remuh Synagoga (Remuh Synagogue) is attached to the historic cemetery that served the community for hundreds of years. 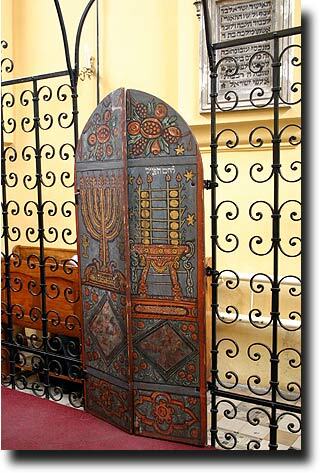 A small donation is required to enter to see some of the few remnants of Jewish culture that were left behind after World War 2. 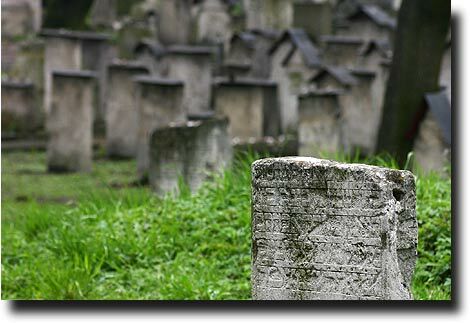 The cemetery itself was used by families in the region for hundreds of years, and many of the tombs fell into disrepair. 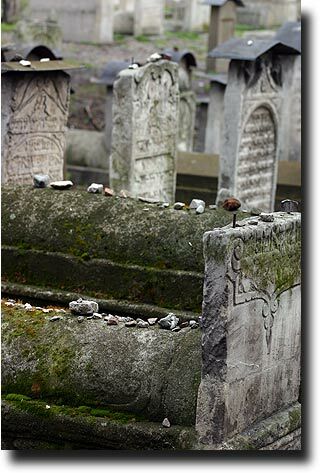 When the area was rebuilt after the war, as many tombs as possible were reassembled, and today there is a semblance of peace again. 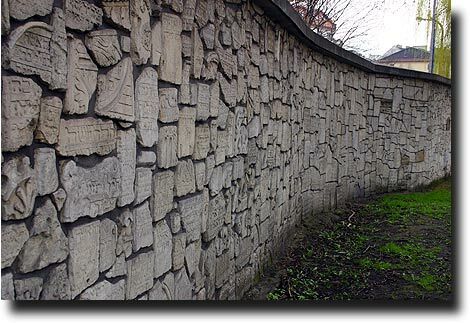 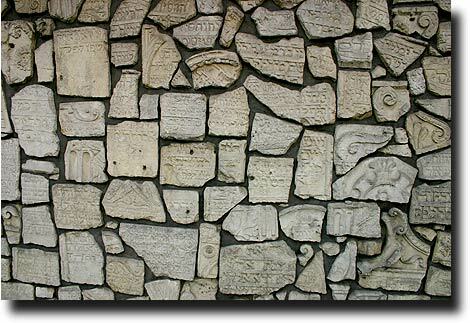 Remaining pieces of headstones that couldn't be rebuilt are pieced together into the wall that surrounds the grounds. 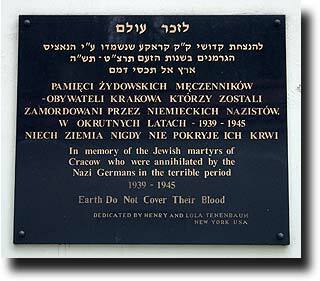 And outside the cemetery, there are numerous placards erected in memory of those who perished under Nazi subjugation.